It’s holiday season, and that means many of us are getting ready to travel – AAA says more than 54 million Americans will travel this year for Thanksgiving alone! 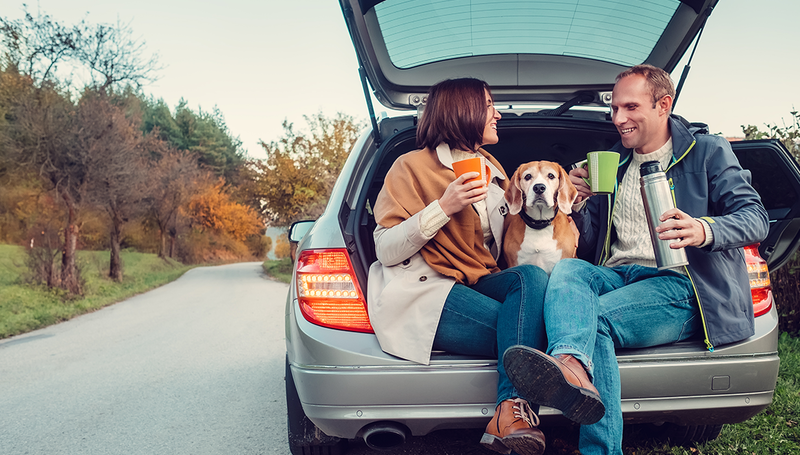 More and more, family travel now includes pets. 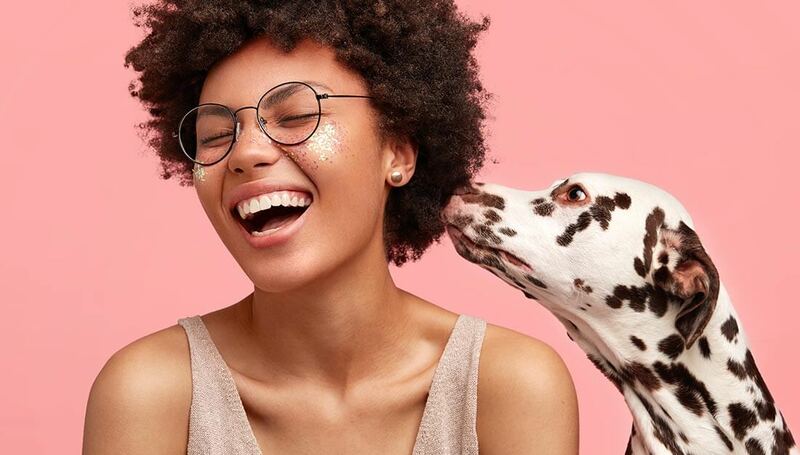 Having our dogs and cats with us during vacations means we get more quality time together and don’t have to worry about being away from our furry friends. 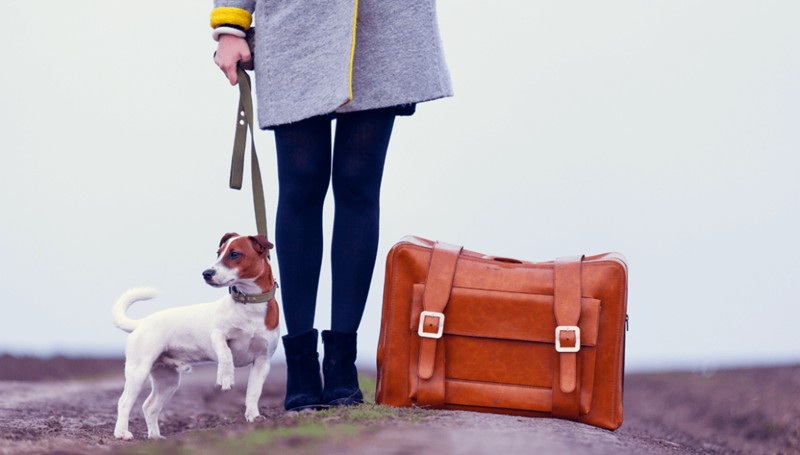 So how can you make sure traveling with pets goes well? 1. Make sure you microchip. Be sure your pet is microchipped, registered and that the contact info for the chip is up to date. That way, if your pet gets lost and is picked up by a shelter or vet/s office, they’ll be able to contact you. 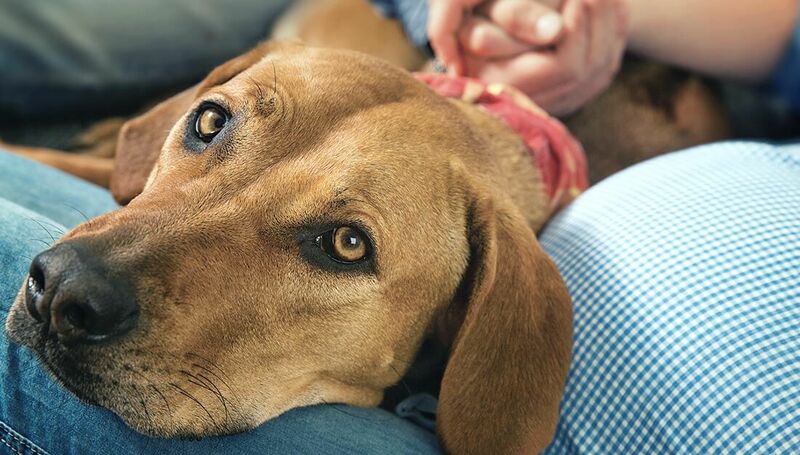 Better yet, think about adding a wearable tracker like Whistle 3 to your pet’s collar! That way you can easily keep track of where you dog or cat roams. 2. Keep a collar and tags on, too. Keeping a good, secure collar on your pet is always important, and especially when you’re traveling with pets in unfamiliar surroundings. Make sure your phone number is clearly readable on your pet’s tags, in case they get away in the excitement of the trip. Be sure they have important medical tags on too, like proof of rabies vaccination. 3. Check with your vet. Travel can be stressful for pets. ROYAL CANIN™ suggests you talk with your veterinarian to identify any potential issues or special needs that might come up while you travel. Your vet can also provide a health certificate for your pet (which is required if traveling out of state) as well as any medications. 4. 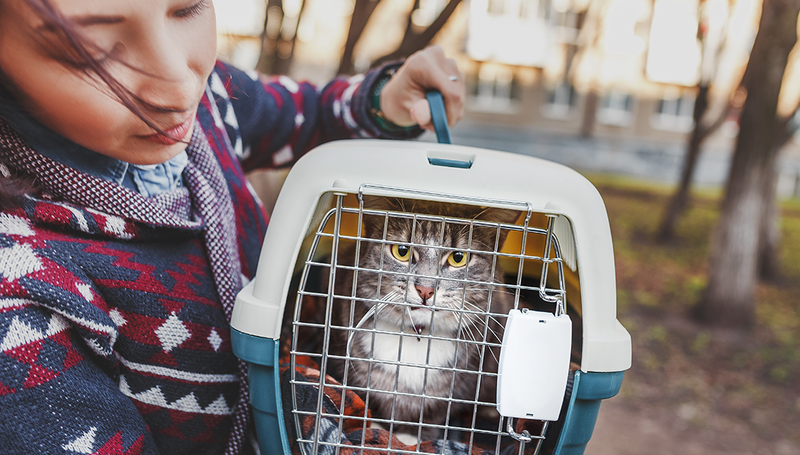 Use a pet carrier when traveling with pets. Of course you’ll opt for a carrier if you’re going on a plane, but use one for car travel too. As our friends at BANFIELD™ Pet Hospital point out, an unsecured pet can distract the driver or even interfere with the safe operation of a vehicle. Plus, if there’s an accident or emergency, you want your pet to be safely secured and ready to evacuate if needed. Carrying a pet emergency kit is a good idea too. Be sure to train your dog or cat to go into the carrier before your trip. Short, mini-trips in the car once they are comfortable in the carrier will help prevent any excess stress while they are traveling. Just like people, pets need breaks when traveling. Keep your pet on a leash during your frequent stops and remember to carry disposable waste bags for your dog. Bring a collapsible water bowl along to keep your pets well hydrated, too. And, make sure you have absorbent towels and a plastic bag in case of accidents along the way. Try to stick with your pet’s regular feeding routines while traveling, so you don’t upset their schedule or their stomach. If your pet struggles with car sickness, plan the day’s driving to allow time for their tummy to settle after eating and before beginning the journey again. Your vet may also be able to help. Bring your regular healthy treats along, and don’t tempt your pet with unplanned snacks or foods that are unsafe. Did you know our GREENIES™ brand has limited edition Pumpkin Spice Dog Dental Treats this year? They’re a nutritious and delicious way to treat while promoting fresh breath and clean teeth. No doggie breath in the back seat! 7. Know the rules for traveling with pets by air. Check with your airline to make sure you meet their specific requirements, such as using an approved carrier and bringing any needed health certificates. Here again, vet input is important. If your dog is a short-nosed breed (like a bulldog or pug), is elderly or ill, or has respiratory issues, flying may not be a good option. Form a plan with the expert advice of your vet. 8. Consider special needs for cats. 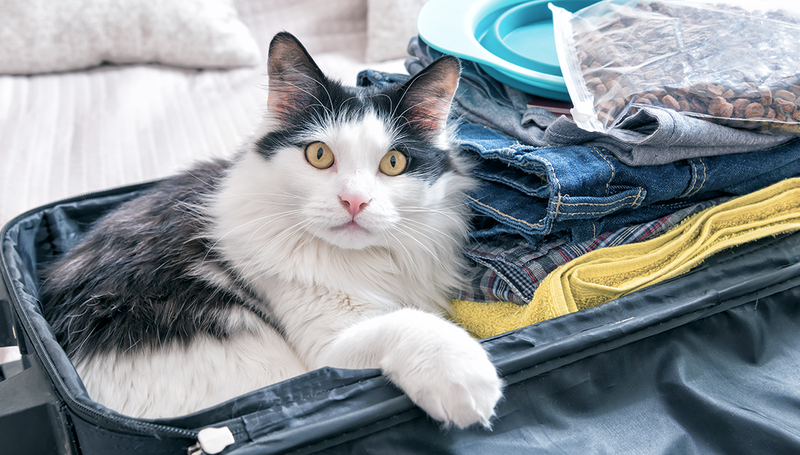 Our friends at BLUEPEARL™ point out that cats can be particularly sensitive to traveling. They suggest considering additional ways to keep your cat calm, like catnip or a synthetic feline facial pheromone. Don’t medicate your pet without talking to your vet first, though. 9. Protect against disease and pests. Different regions of the country may have different pests and diseases than you have in your geographic area. Ask your vet about additional flea, tick and heartworm control, as well as rattlesnake vaccine, additional parasite control and more. And, bring pet health records along with you on your trip. 10. Know where you’re going. Of course, you know where you’re headed! But are you sure they will welcome your pet and have the amenities to accommodate him or her? While planning your trip and before you arrive, ask questions so you’re prepared for what awaits you. Try to always have a back-up plan if a pet-friendly place to stay falls through. Do you wish you could take your pet with you to more places? So do we! 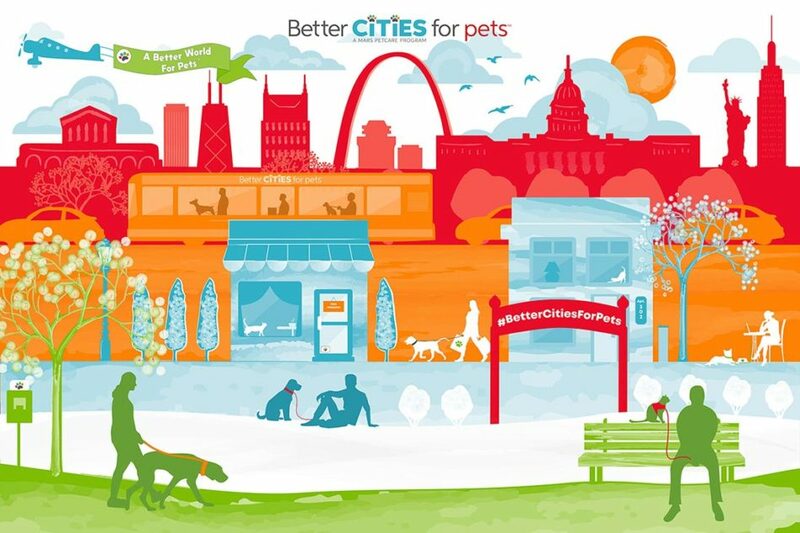 Join the movement for pet-friendly cities at BetterCitiesForPets.com. And, please join the dialogue on social media! We’re at @marspetcareus.